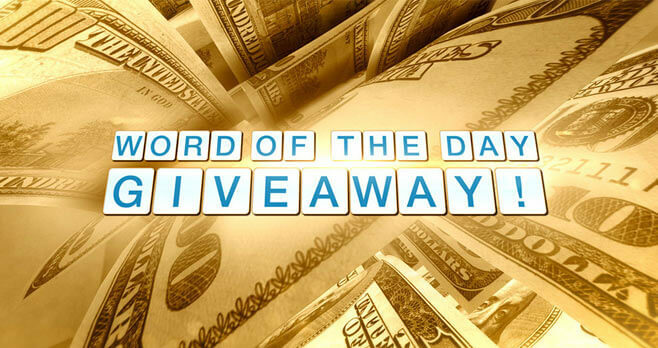 The Doctors Word Of The Day Giveaway 2019: Every weekday, tune in to The Doctors to get answers to your health questions and get the Word of the Day for your chance to win wonderful prizes, all season long. It’s the The Doctors Word of the Day Giveaway at www.thedoctorstv.com/giveaways! Didn’t heared the word of the day in today’s show? Don’t panic! We are listing each and every word of the day right here. What Is The Doctors Word Of The Day? Need help with The Doctors Word Of The Day? Come back each and every weekday to find out about the daily code word. The Doctors Word Of The Day Giveaway 2017 is open to entrants who are 18 years of age or older and are legal residenst of one of the 50 United States or the District of Columbia with no prior criminal record. Only one entry per user per Giveaway. Unless expressly indicated on the Web Site, one Prize will be awarded for each Giveaway. Approximate retail value of the Prize will vary by Giveaway, but in no event shall such Prize be valued equal to or more than five thousand U.S. Dollars. To obtain a winner’s list for a specific Giveaway, please send a self-addressed stamped envelope to The Doctors, 5555 Melrose Avenue, Los Angeles, CA 90036. Be sure to include the name of the giveaway item with your request. Hmmm… Looks like this board and the other board that I’m on must be connected. Anyway, 1/14, Monday, prize – Willing Beauty Skincare kit – Word: Predictable. Does anyone know the WOD for Friday, Jan. 11? to choose from at (THEDOCTORSTV.com) are for the current day’s WORD OF THE DAY……..
feeling frustrated,defeated and without a chance to win the prize I so would love to have. I second what Rita Henry said on Jan. 22. Often there is no entry form to enter the Word of the Day and it is quite frustrating! Today, Friday Jan. 29 is one of those days! There is no place to enter the Word of the Day or prize listed. It sure would help if the website was kept up to date. Today, January 24, 2019, I tried to enter the word of the day. Guess what. A red lined message said I had already entered the word of the day. I had not. I even tried to revisit that issue on the 25th, but the same message came up. NEW SUBJECT. Why is Dr. Stork absent on one or two days a week? Is he holding out for more $? Is he ill? Is the show about to be cancelled? Is the network trolling for new blood to boost the ratings? Somebody knows something! Does anyone know the WOD for Thursday 1/31? Unable to enter! I NEED this prize! If you don’t see the entry form on the prize page and your using an ad blocker, turn off your ad blocker and refresh the page, The entry form should come up then. If that doesn’t work, see if switching to another browser will help. If you don’t see the entry form on the prize page and you’re using an ad blocker, turn off your ad blocker and refresh the page, The entry form should come up then. If that doesn’t work, see if switching to another browser will help. Does anyone know the WOD for Friday, Feb. 15? Thanks so much! I know the word of the day, today, Wed., Feb. 20th but cannot find the place to list it. It is Unique! Why do you make it so difficult. I’ve tried every link I can. Very frustrating. Makes it seem like you don’t want to give it away. I try all the time but how do I get a chance to enter? It’s so hard, too many links to look at and still can not enter!!!!! So glad I happened upon all the comments from other viewers who couldn’t manage to enter the word of the day contest – you certainly can’t enter it the way you are told to on the program! Very frustrating to many people apparently. I have tried before but was determined today so I could be eligible for the great mattress giveaway which was one of best I’ve seen offered. No matter how long I have to try to enter, it’s impossible! Patsy, the show with the mattress giveaway was a rerun, so you can’t enter to win it. So sorry! I went to enter the word of the day for Monday April 15, 2019 for the weighted blanket. The site said it was for Dr. Track’s book. I entered anyway but was deeply saddened by the mistake.